I know. I know. 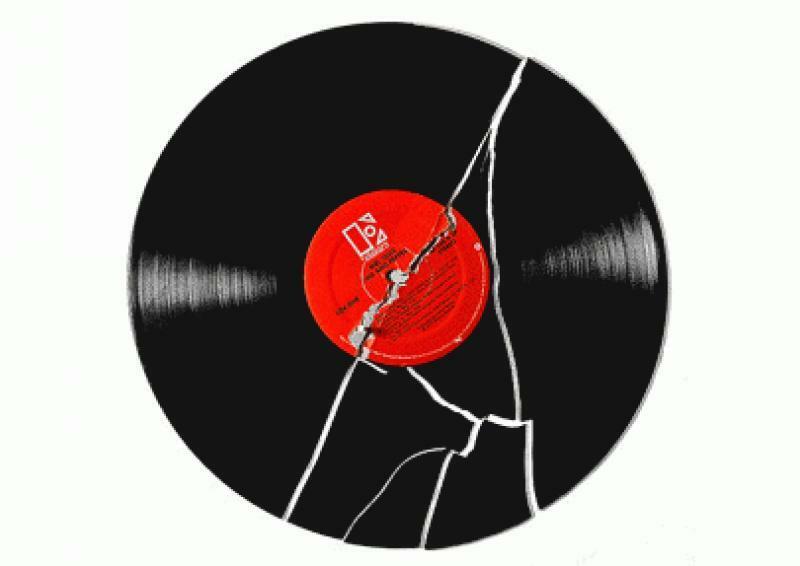 I just crossed over the audiophile fine line, but it is about time that somebody lobbed a few logic bombs at the argument that won't go away: how increasing vinyl record sales mean boom times for the audiophile industry. Sadly, vinyl isn't going to be the answer, but there is hope. Trust me, there is hope. For now, let's dig into the vinyl argument a little bit and don't worry - we are going to want to hear from you in the comments below. • See more music industry news from HomeTheaterReview.com. • Explore reviews in our Analog-Vinyl Review section. A few weeks ago, I was interviewed for a documentary about vinyl by one of our former music reviewers, Kevin Poore, from the old days at AVRev.com. Kevin is making a documentary about vinyl and asked me if I would chime in with my thoughts on the format. I was a bit reticent, as my take on vinyl as a 38-year-old HD-loving music school graduate isn't the same as that of the Baby Boomers who grew up with the format. Without question, I can absolutely see the advantages of the format, as they are many. I love the large physical format - especially the art and inserts. I love the fact that vinyl is analog in the overly digital, attention deficit world that we live in. Hell, I am the guy who is forcing himself to bring analog books on an upcoming vacation just to cut down on screen time on his iPad. I inarguably get the importance of analog in our lives. Additionally, vinyl is cheap to buy, especially when you purchase it used. Record executives love vinyl, because it's pretty hard to rip, as it doesn't have files, per se. Are there USB turntables on the market? Sure there are, but they are not a factor compared to the billions of easily rippable, digital compact discs. For me, one of the most important factors in what makes vinyl interesting is that the format forces the cadence of an album. Kids today skip songs in ways that suggest they don't remember a day when there wasn't a shuffle button. Anybody who wants to argue that The Wall or Electric Ladyland is better on shuffle is a musical moron. There is a produced cadence to the album as it tells its musical story and vinyl physically forces you to follow that cadence. With all of that said, vinyl is physically inferior as an audiophile format and, more importantly, despite recent hype about a so-called boom in New vinyl sales, the format doesn't represent the future of audiophilia one bit. • Vinyl has very limited dynamics compared to all modern formats. Vinyl has about 65 dB of dynamic range, as opposed to the 30-plus-year-old digital compact disc at 95 db. The more modern Blu-ray disc packs 120 dB of dynamic range and can throw in 24/192 times 7.1 channels of music, with 1080 uncompressed video from a $100 player and an $8 HDMI cable, and Blu-ray is also highly copy-protected. • Vinyl suffers from very high signal to noise ratio, compared to digital formats. Even if the distortion makes the format sound "warm," it doesn't make it sound like the master, which is the whole point of a high-end audio system. • Vinyl discs start to wear from the first play and never are better than their first play. While the compact disc's 30-year-old claims of "perfect sound - forever" were a bit bloated back in the day, a 30-year-old compact disc plays a lot better than a 30-year-old LP when both have been played a comparable number of times over the decades. • Vinyl is not a portable format, unlike a compact disc, a ripped digital file or, more relevant, an HD download in 24-bit 192 kHz resolution. Today's consumers, especially Generation Y, demand mobility. Look at the first weekend's sales of the Apple iPad mini from the Huffington Post. Over 3,000,000 units were sold in a weekend. How long has it been since 3,000,000 turntables were sold? Respectfully, it has been decades. • Vinyl offers no meaningful option for surround sound (sorry, Quadraphonic doesn't count, no matter how geeky you want to get). If you have a home theater, why wouldn't you want to listen to remixed versions of your favorite records that offer new perspectives on your favorite music? If you don't like the mix, then on a format like Blu-ray, there is plenty of disc space for you to get a 24/96 remaster right from the master tape, using the best converters and mastering processes that money can buy. • Vinyl doesn't support video (no kidding), which is the number one reason why SACD never had a chance in hell at being a successful format back in the day. • There is nothing about vinyl that is HD, unlike satellite television, video games, Blu-ray movies and other popular media formats today. Vinyl simply doesn't have the bandwidth to be HD. For that matter, neither does the compact disc at 16/44.1.